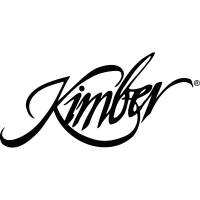 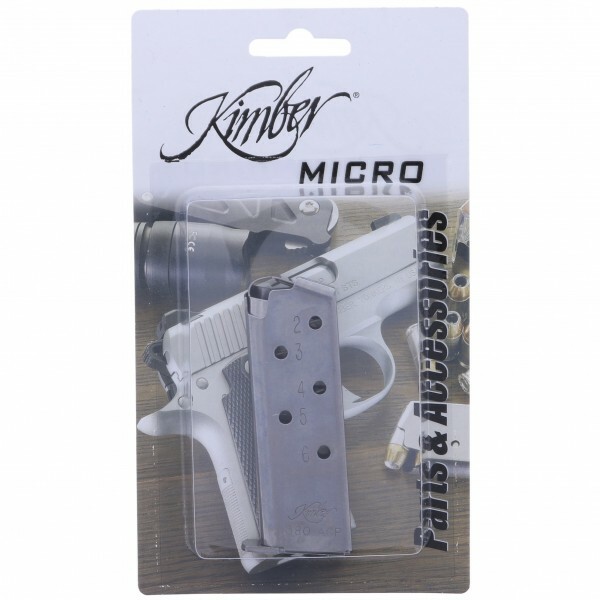 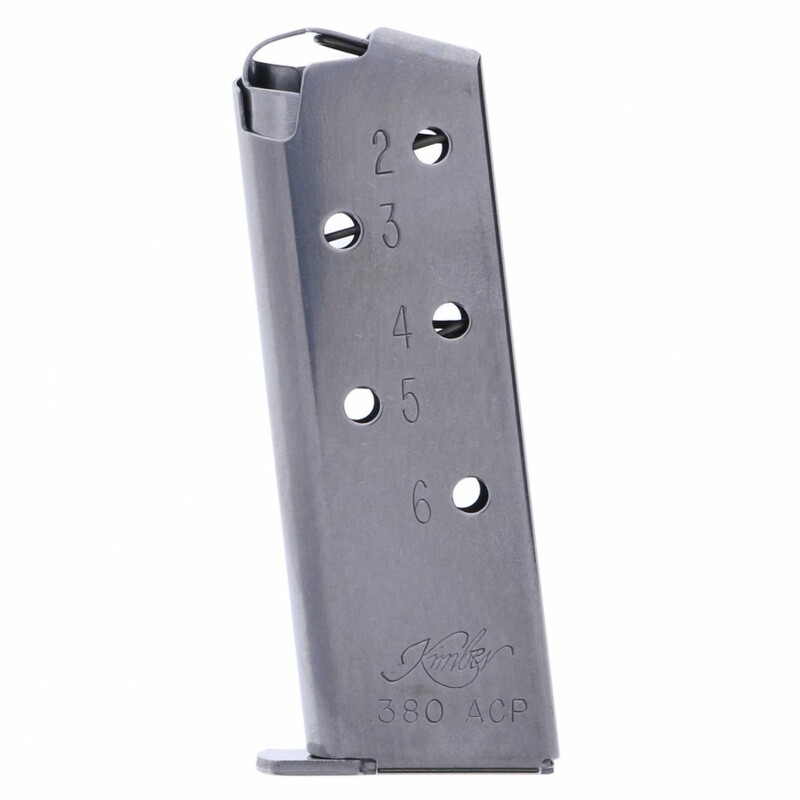 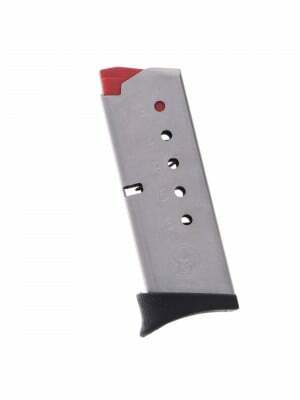 This is a factory .380 ACP 6-round magazine for Kimber Micro pistols. 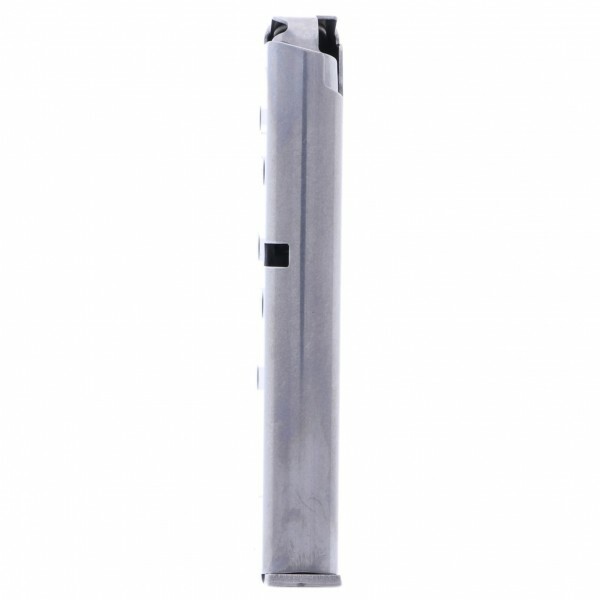 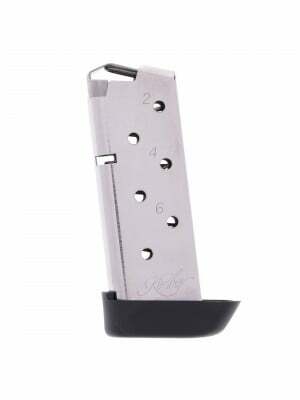 Featuring polished stainless steel construction and a base that fits flush into your Micro, these 6-round factory magazines were built to the same exacting standards as the mags that came with your gun. 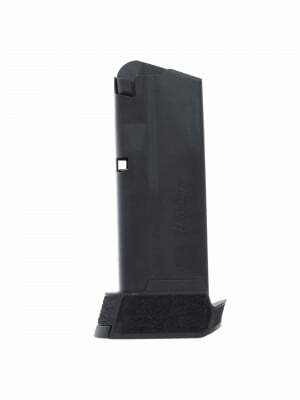 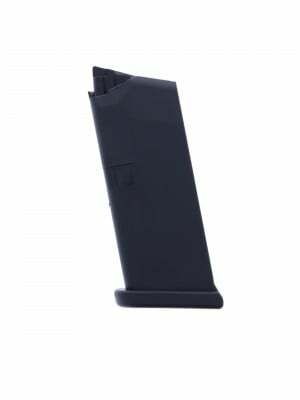 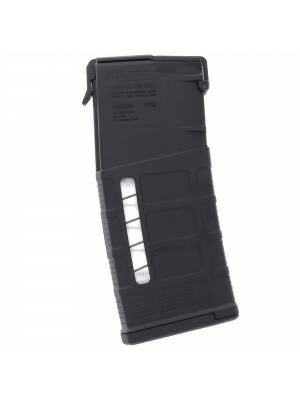 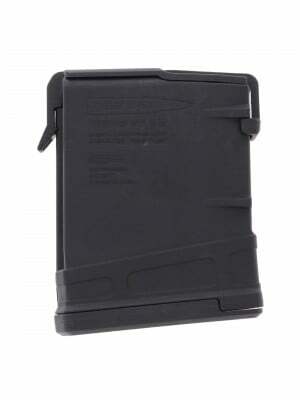 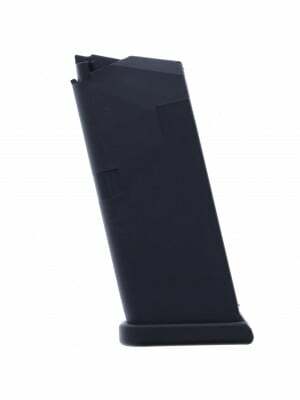 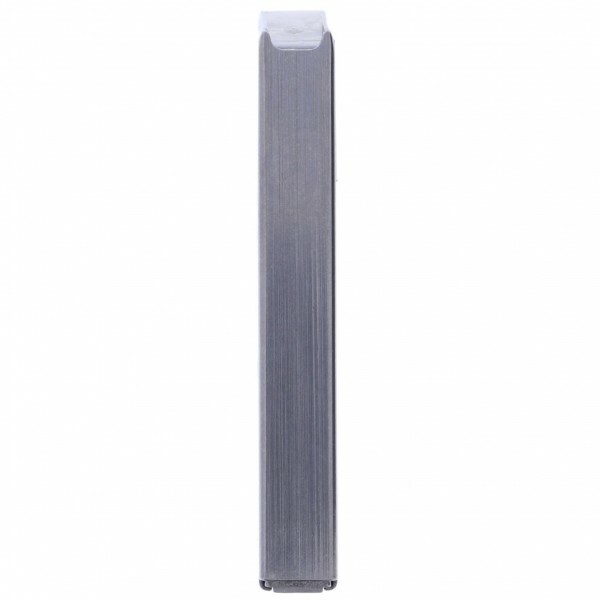 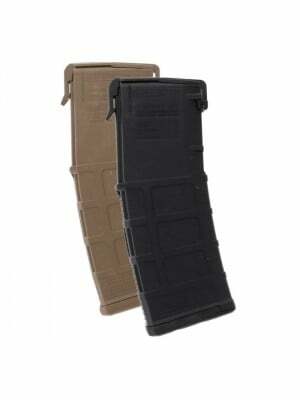 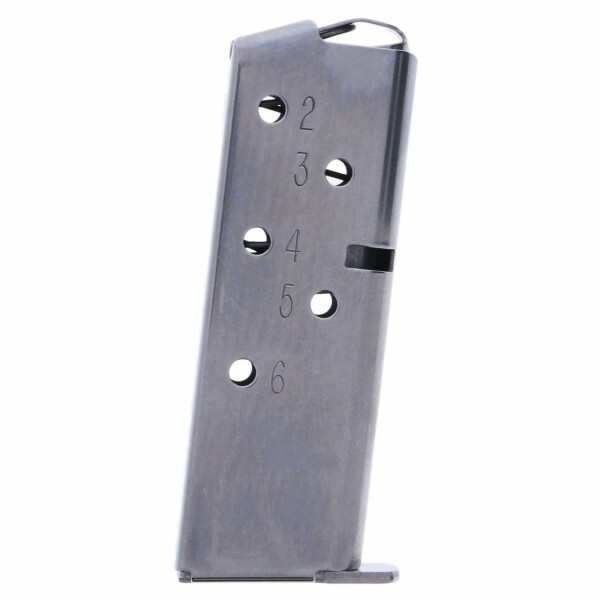 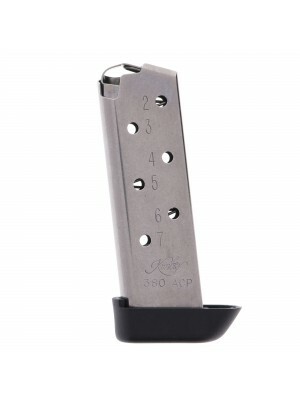 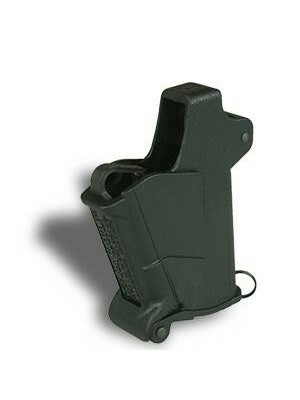 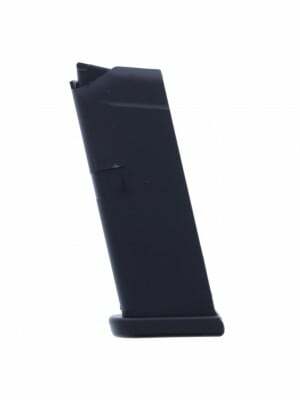 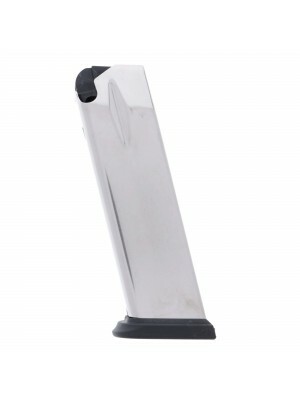 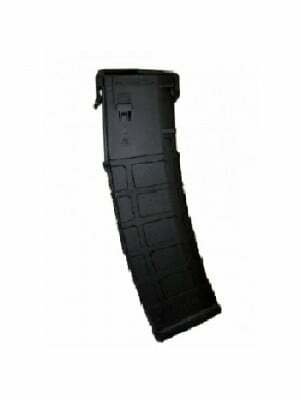 Grab a few spare magazines today to keep backups handy, and rotate your loaded/carry magazines for maximum reliability.